What's happening on CBS soap opera The Bold and the Beautiful during the week of May 29-June 2, 2017? Check out the day-to-day spoilers and a sneak peek video below to find out. Saul asks Sally to partner up with him; Thomas gets a second chance at redeeming himself with his family. Thomas makes an effort to arrange a reconciliation between the Spectra sisters; Kate threatens vengeance against Quinn. Thomas asserts himself as the new boss at Spectra Fashions; Ridge attempts to calm Quinn's fears. Eric makes an effort to convince Thomas to remain at Forrester Creations; Katie becomes suspicious of what is really going on at the mansion. 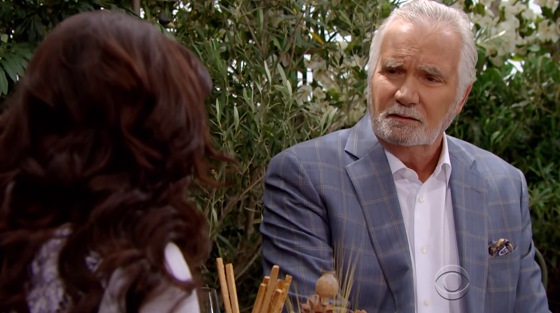 News of Thomas' business venture is met with mixed reviews; Steffy confronts Sally.